Since 1980, Autowerkes has been performing BMW auto repairs for clients living or working in Huntington Beach, Fountain Valley, Newport Beach, Seal Beach and surrounding Orange County cities. Our extensive experience has given us the ability to give our clients service that goes well beyond dealer level work. WHY AUTOWERKES? Our shop takes a team approach to auto repairs on BMW and other German autos such as Porsche and Mercedes. Each employee brings their experience and expertise to solve particular problems quickly and efficiently. Our extensive experience has given us the ability to give our clients service that goes well beyond dealer level work. 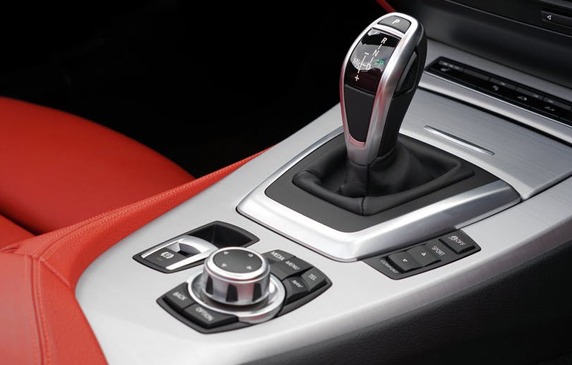 With the complexity of BMW computer automotive systems, our factory-level software, up to date service repair information and state of the art diagnostic equipment, difficult auto diagnostic and repairs are performed efficiently. Our state of the art tools enables us to link up to BMW vehicles for troubleshooting and/or programming. 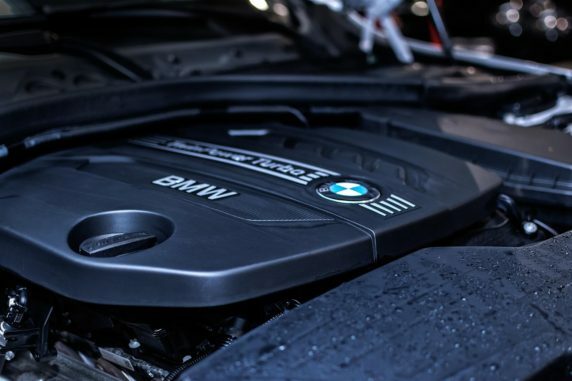 We tackle all areas of BMW repairs from routine services, air conditioning, and electrical repairs, to engine and transmission repair work. The Autowerkes staff attends continual training and education to keep up with all the latest systems and operation in BMWs. Those clients living or working near us in Huntington Beach, Fountain Valley, Newport Beach, Seal Beach, and other surrounding Orange County cities take advantage of our complimentary pick- up and delivery back home or to work. We also offer late night drop box for those who stop by after normal working hours. We also include a mini detail with every BMW auto repair or service. These are just some of the benefits you will receive with us. Please give us a call with any BMW auto repair question you may have. You may also stop by and see us for a free consultation with any automotive concerns. We look forward to seeing you soon and will provide maximum performance for your daily drive! BMW vehicles were engineered for performance. The BMW 3 Series Engine line starts from 1.6-liter 4-cylinder engines ending up with powerful V8, I6 and 6-cylinder turbocharged engines which are produced specially for M3 E36/E46/E90/E92/F30 models. When it comes to the M Series, such as the M3, M4, M5, and M6. The S63 (4.4 Liter Twin-Turbocharged V8) engine has been around for over a decade. It is best known for its horsepower and torque. This engine is wonderfully smooth when accelerating 0 – 60 mph in 3.5 seconds. It’s also currently the holder of the most powerful BMW engine ever made. In layman’s terms, These engines need to be serviced by factory trained technicians with experience. Bruce Powers, Phil O’Ferrell, and Johnny Germain have spent more than 36 years specializing in BMW Servicing and Repair. When people think of BMW, they normally think of sharp steering and excellent handling ability. There is no doubt that in order to control the vehicle, a powerful braking system must play a major role. BMW has been putting together beautifully balanced braking systems for a long time and was one of the first auto manufacturers to put 4 wheel disc brakes on their vehicles. BMW combines big brake calipers with large diameter rotors so you end up with a significant amount of “swept area”. The larger the swept area, the better the brake performance due to the larger braking area, cooler brake surface, etc. Here at Autowerkes, we have over 36 years of experience in dealing with the development of the Antilock Brake System ( ABS). Brake Service and Repair today is more than just replacing brake pads and rotors, especially on BMW vehicles. With technology constantly escalating, every part of the vehicle now requires sensors which ultimately requires electrical Knowledge. Electrical auto repair is a large part of braking systems at Autowerkes. We specialize in the electrical repair of the ABS (antilock brake system). If there is an electrical fault in the ABS system, antilock is disabled and the warning light is turned on. It is critical to have the brake light diagnosed and repaired for safety sake. ABS has been a big part of the BMW braking system for a long time. At Autowerkes, we have been performing electrical and brake service for our clients in Huntington Beach, Fountain Valley, Seal Beach, Newport Beach and other Orange County and LA County cities for over 36 years. At Autowerkes in Huntington Beach, we have been working on BMW since 1983 giving our customers substantial automotive repair experience. Our team works together to give you the very best in service and the highest quality repairs and service on your BMW. Please give us a call with your BMW brake questions or any other automotive questions you may have. Feel free to stop in and see us for a free consultation if you are in the area. We are located on Talbert Ave, just east of the Huntington Beach library. Copyright © 2018 I autowerkeshuntingtonbeach. All Rights Reserved.